Seafood is an important part of a healthy, well-balanced breastfeeding diet. Fish is high in protein and low in saturated fat. It contains many healthy nutrients including iodine, vitamin D, and docosahexaenoic acid (DHA), an omega-3 fatty acid. The nutrients in fish help prevent heart disease and contribute to overall good health. Plus, when passed to your baby through your breast milk, these nutrients are essential for the development of your baby's nervous system, brain, and eyes. Mercury is an element that is found in our environment and our water supply. Exposure to a small amount of mercury isn't necessarily an issue. However, in large amounts, mercury can cause damage to your brain and spinal cord. Large quantities of mercury are even more dangerous to the brain and nervous system of your growing developing child. Mercury in the environment can build up in fish. Greater amounts of mercury are seen in larger fish such as shark, king mackerel, swordfish, and tilefish. It's best to avoid these types of fish while you're breastfeeding. Seafood sources that are lower in mercury include salmon, tilapia, catfish, sardines, canned light tuna, shrimp, scallops, crab, squid, lobster, and clams. You can safely enjoy these seafood products 2 to 3 times each week. You can eat fish and other types of seafood that are lower in mercury up to 3 times a week. 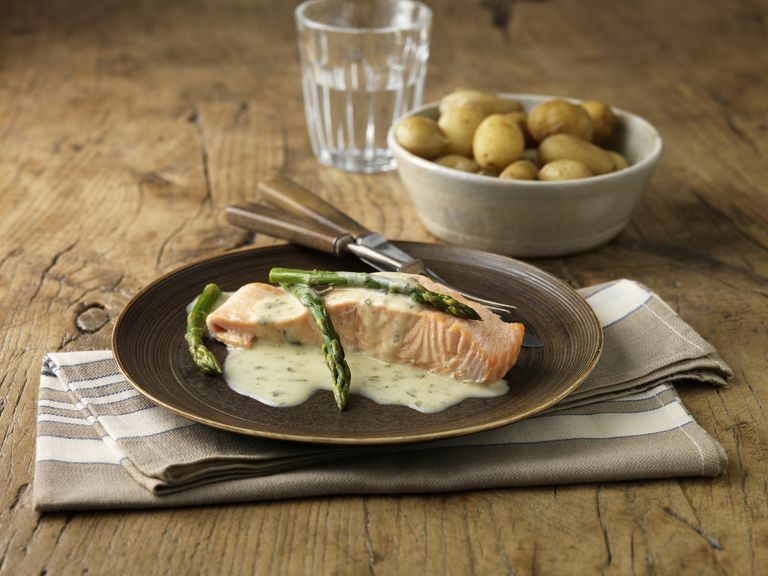 Choose wild-caught fish over farm-raised fish. Although improvements are being made, the diets of farm-raised fish may include ground-up fish and chemicals. These chemicals are linked to certain types of cancer. Limit the amount of farm-raised fish you consume, if possible. If you purchase or catch fish from your local area, check to see if there are any environmental advisories or warnings for the waters in your region. Chemicals or other pollutants in the water can be dangerous if you're breastfeeding. Eat a variety of fish each month. If you have the same kind of fish all the time, it can increase your exposure to chemicals and mercury. However, if you eat different types of seafood 2 or 3 times a week, you can get all the healthy benefits of the seafood while lowering your risk of exposure. If you remove fish from your diet, or you decide to eat a vegetarian-type diet, you will need to get your DHA from another source. Flaxseed and walnuts can provide you with a little bit of DHA, but it may not be enough. You will most likely need to take a supplement. Talk to your healthcare provider or a nutritionist for more information about seafood, mercury, and omega-3 fatty acids. Riordan, J., Wambach, K. Breastfeeding and Human Lactation Fourth Edition. Jones and Bartlett Learning. 2010.